Meet Princess Ralph. Since you asked... there was gender confusion... not on her part of course, but as a furry kitten, she was thought to be a he, and so she was called Ralphy. The rest of the story is history. 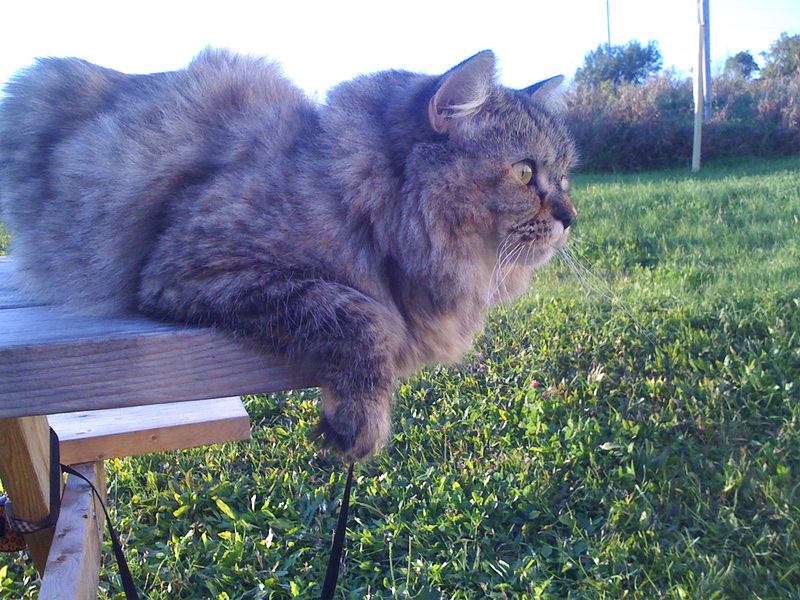 As an indoor cat living in the city of Toronto, she doesn't know how lucky she was to go on a vacation to Prince Edward County and live on a farm for a few days. In or out, she's pretty chill... too cool to purr in fact, so I'm featuring her in honour of Silent Sunday. Blessing to you and yours - all the live long day!